VA 10th Congressional District: In Virginia, a swing seat is born. The mild Virginia gerrymander of 2011 did plenty to lessen the risk of competitive congressional races. The state’s three Democratic members of Congress got safer seats; the eight Republican members got the same thing. Only moderate Rep. Scott Rigell and Benghazi-investigating foreign policy maven Rep. Frank Wolf got sort-of-competitive seats. Wolf’s went 48–47 for Republican candidate Ken Cuccinelli in this year’s race for governor, and 50–49 for Mitt Romney in last year’s presidential race. He was safe. Ah, but he’s decided to retire. As a follower of Jesus, I am called to work for justice and reconciliation, and to be an advocate for those who cannot speak for themselves. I plan to focus my future work on human rights and religious freedom – both domestic and international – as well as matters of the culture and the American family. My passion for these issues has been influenced by the examples of President Ronald Reagan, former Congressmen Jack Kemp and Tony Hall, Chuck Colson, and the life of 10th century Member of Parliament William Wilberforce. And so forth. Wolf, elected in 1980, had an iron grip on a wealthy district that increasingly elects Democrats to local offices and breeds top Republican talent, with easy access to donors and wonks. Until recently, Washingtonians thought Liz Cheney might run when Wolf retired. (Note this 2009 story in which Larry Sabato says Cheney shouldn’t run in 2010 and wait instead for a “heavily Republican year.”) But Cheney ended up moving to Wyoming and primarying Mike Enzi in a Senate race—a higher office, in an area with fewer voters than Northern Virginia. Who else could run? Del. Barbara Comstock, a Republican fixer and pundit for years, won a 2009 race in the district on Bob McDonnell’s coattails. She survived 2013, running far ahead of Ken Cuccinelli, aided as in 2009 by her rainmaking effect on big Republican donors. But Cuccinelli lives in the area, too, having represented much more of the district. Democrats haven’t put up a decent candidate against Wolf in years, but after the government shutdown gave them armfuls of promising poll numbers, they enticed a Fairfax County supervisor, John Foust, to run. If Democrats are able to wrench any gains from the shutdown, here’s where they’d do it. If Republicans engineer a backlash to Obamacare among middle- and high-income voters whose plans now cost more, here’s where they’d do it. 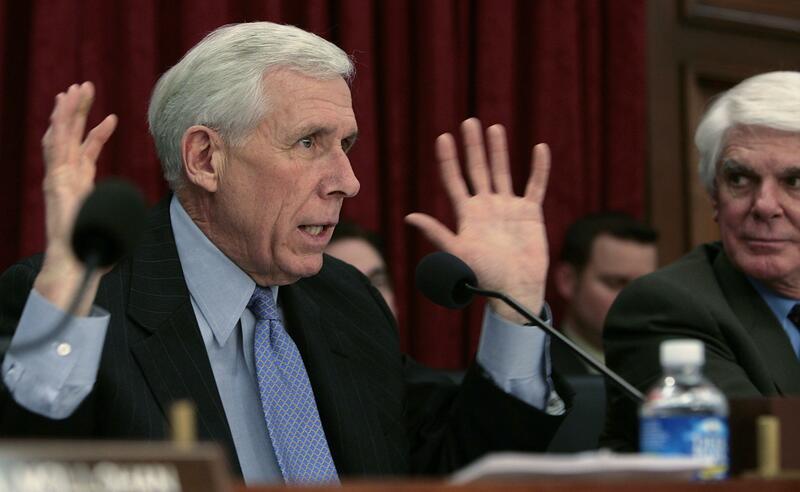 Today should be an occasion to reflect on Frank Wolf’s service and his leadership on issues from veterans to national security, and the brave compassion he demonstrated in casting votes on food stamps and immigration that reflect that conservatism can have a heart. I will monitor the field that develops in the next several weeks in the hope that a responsible center-right candidate will emerge, one who gives Republicans a chance to keep this district and who will represent the best of the Virginia Republican Party.